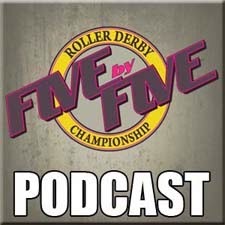 Our heroes say Hi with a brief rundown of their secret origin stories and love of all things derby. They call on the kindness of strangers and whet our appetites for what is to come. Future's so bright we gotta wear shades. You can download it directly by right clicking on the link below and choosing “Save Link As”. Or simply click the link to play it in your browser. DON'T FORGET TO VOTE FOR NIGEL'S DERBY NAME BY SELECTING YOUR PREFERRED OPTION IN OUR POLL IN THE RIGHT HAND BAR. IF YOU WANT TO SUGGEST A DIFFERENT NAME TO ADD TO THE POLL COMMENT OR MESSAGE US. 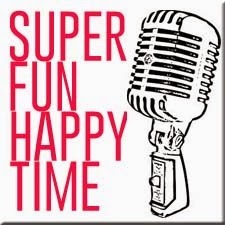 Well done on getting the first episode done, sounding good so far. Nigel I voted for Bad News Brown since I'm a huge wrestling fan and Bad News was one of my Favs back in the day. where I get the low down from NZ's first derby wives Scheisse Minnelli and Lucy in Disguise. 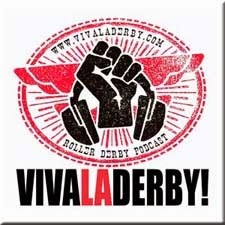 Look forward to hearing more from the Viva La Derby crew.